Click here for RealAudio comments by the composer, 2:24. Click here to reach the composer's new home page. 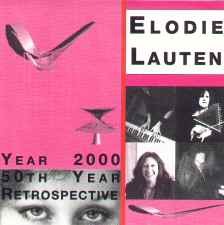 Elodie Lauten has been described as a seminal figure, one of the leaders of the postminimalist movement (20th Century American Music, Schirmer, 1997), "a force on the experimental music scene" (Fanfare, Spring 98). Recordings have been released by o.o. Discs, Nonsequitur, Tellus, Polygram/Point, Lovely Music, Silenzio, Frog Peak and New Tone. 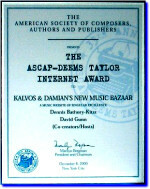 Lauten has received awards from the National Endowment for the Arts, ASCAP, Meet the Composer, and commissions from Lincoln Center, The Soho Baroque Opera, The Queen's Chamber Band, The Lark Ascending, Elinor Coleman Dance Company, and David Hockney, to name a few. 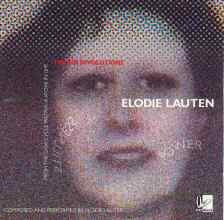 Born in Paris in 1950, Lauten began studying piano and harmony privately with Paris Conservatory teachers at age 7, and dates her first composition to her twelfth year. Responding to the urgings of a practical-minded uncle, she gained admission to the prestigious Institut d'Etudes Politiques at age 18, and three years later received a Bachelor's degree in Economics. Following graduation, an opportunity came her way to compose and perform music for a play by Dashiell Hedayat at the Musèe d'art moderne. And with this success, she decided to give her life over entirely to music. 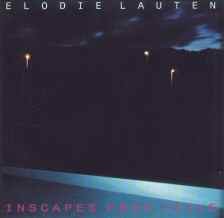 Shortly thereafter, Lauten came to New York City - indeed a cultural Mecca, much as so many young American artists had flocked to England and France in the Twenties. 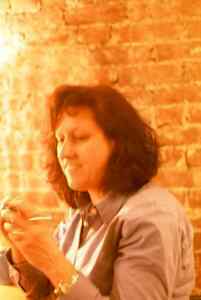 She was befriended by American poet Allen Ginsberg, whose purchase of a Farfisa organ for her dramatically changed the course of her musical career, exposing her to the possibilities of music produced electronically. Ginsberg also introduced her to Eastern religions, including Buddhism. 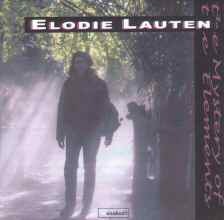 For Lauten, the 1980's turned into a period of intense study, which included the basics of Indian music with LaMonte Young, meditation with Sri Chinmoy, in which she also acquired a taste to the music of Southern India, composition with Dinu Ghezzo, and Northern Indian music with Akhmal Parwez. The years of study culminated in a Master of Arts in Electronic Composition from New York University in 1986. 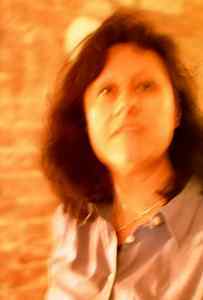 Considering herself a microtonalist rather than a minimalist, Lauten numbers among the influences on her work, besides Indian music, Bach, Monteverdi, Clément Janequin, Buxtehude, Charles Ives, John Cage and LaMonte Young, as well as John Coltrane and rock music. 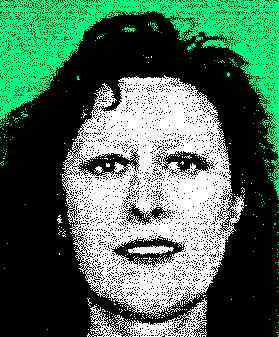 Integrating improvisation into her composition has been a constant motivation - her father, Errol Parker, was a well-known jazz pianist and drummer - and over the years she developed her own improvisational style, Universal Mode Improvisation, which flows freely from the modal to the polytonal and atonal. Examples of this can be found in her piano music, and electronic works Tronik Involutions and Inscapes from Exile. Also of ongoing interest to Lauten has been the work of Kepler and Newton as well as that of modern mathematicians Cousto and Mandelbrot, Vedic cosmologies and the I Ching. This preoccupation has led her to questioning the validity of much that has been taken for granted in Western music with regard to temperament and pitch, and inevitably impelled her to experiment with polymicrotonality on custom-built and/or tuned instruments. 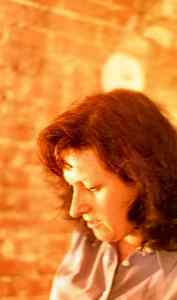 Lauten's mature works include chamber music, songs, dance music, multimedia operas, soundtracks and music for the Trine (a microtonal lyre designed by her), and are featured on a variety of labels. Her DEUS EX MACHINA, a song cycle for sopranos, baritone, flute, violins, viola, cello and harpsichord - which includes texts by Rilke and Verlaine in their original languages, as well as her own lyrics in English, French and Latin - was recently premiered at Merkin Concert Hall and broadcast over WNYC's New Sounds Live. 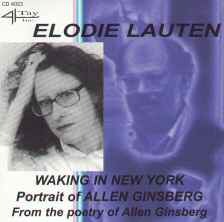 Soon to be produced is a chamber opera titled WAKING IN NEW YORK, with libretto by Allen Ginsberg, who put the manuscript in Lauten's hands six months before he died.